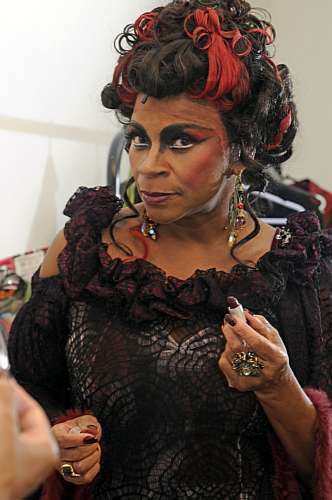 Besides being a clairvoyant, Dona Carmen is also a witch. She promises to bring Herculano back to Amelia in seven days. No problem, no delays. But to make her wish come true Amelia must perform seven tasks. Despondent and alone, Amelia leaves her home and throws herself onto the streets of Rio, among the hookers, vagrants, and other denizens of the night. 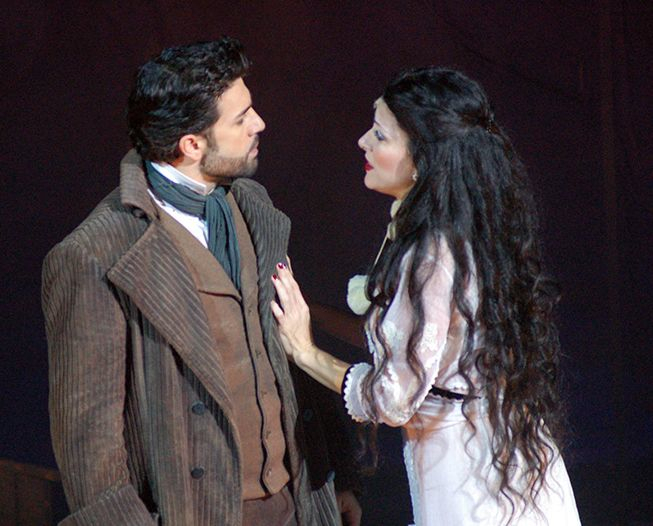 Disguised as a prostitute, Amelia finds an unwilling victim and brings the beating heart back to Dona Carmen. But the clairvoyant, upon learning of its age, refuses to accept the gift: “I asked you for a young heart, one that has never known love. This one won’t do, it’s too old and worn.” Amelia is on the verge of giving up, but the task cannot be interrupted. Otherwise, a terrible curse will befall her. Amelia tries one more time to prevail. She stops at a bordello, run by Dona Odette, an old Rio madam. There she meets a young man named Alvaro, who has come to learn about love. He spends his “first night” with Amelia. But their lives will be filled with complications: other paths begin to cross, other stories begin to intertwine, things get more and more complicated, and nothing ever comes out the way we expect them to. 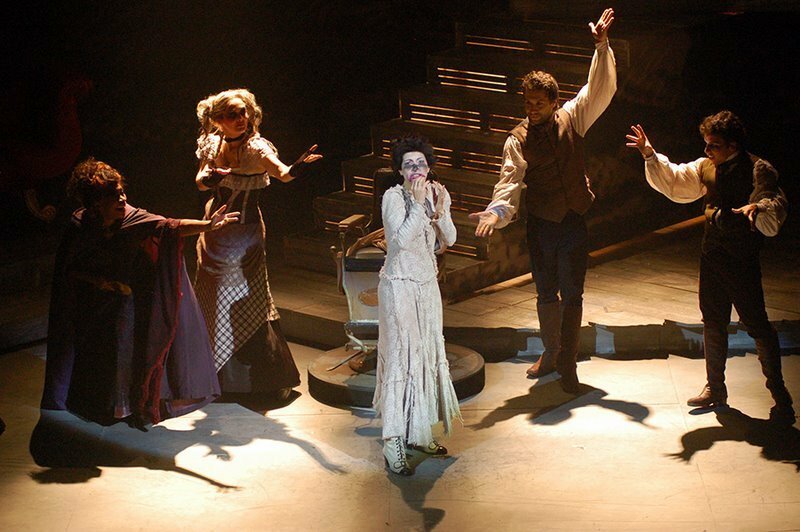 The above outline, which plays like a mid-season episode from the ABC-TV series Once Upon a Time, was taken from the Möeller-Botelho Website for their 2007 production of 7 – The Musical. 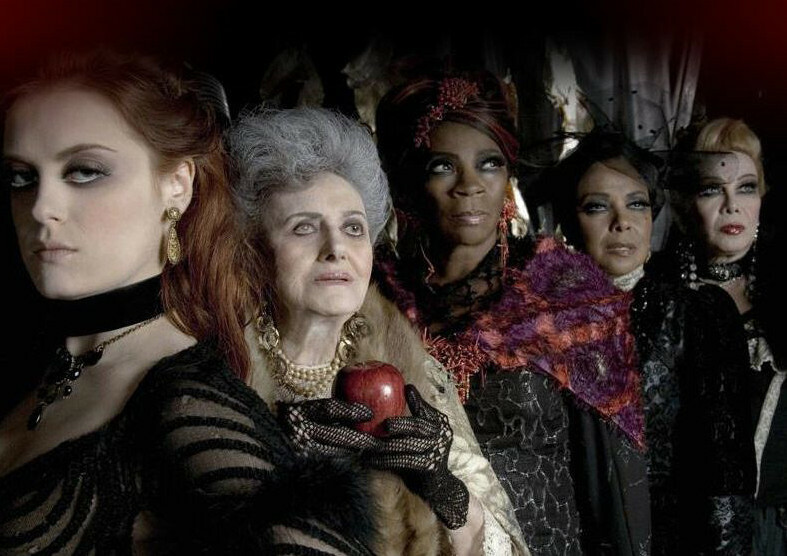 A contemporary reworking of Snow White, with fragments of other well-known children’s stories (Cinderella, Rapunzel, Sleeping Beauty) mixed into the stew, 7 – The Musical has done for Brazilian musical theater what Stephen Sondheim’s Sweeney Todd and Into the Woods did for Broadway: i.e., it steered the same adult course that Sondheim first took when he revitalized American musical theater by operating within a noir framework, which makes it the perfect post-Halloween treat! 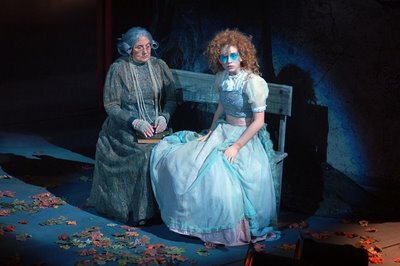 In September 2012, I wrote about the gestation of this modern classic (see the link to my post: https://josmarlopes.wordpress.com/2012/09/11/be-careful-what-you-wish-for-a-brazilian-fairy-tale-musical-comes-to-the-rio-stage/), one that’s yet to reach our shores. Be that as it may, the recent announcement in Brazil of a TV-miniseries (in seven chapters, no less) based on the award-winning show has rekindled interest in the musical’s merits. In addition to which, director and book writer Charles Möeller concluded a two-month master class in June 2013, at the Casa de Artes de Laranjeiras (House of the Arts of Laranjeiras), or CAL for short, in which a student presentation of 7 – The Musical was the featured showcase. There’s even a sequel to their hit show in the works! This latest article, then, includes a follow-up conversation with two of the show’s creators: Charles Möeller and musical director, lyricist, and adapter Claudio Botelho — the Batman and Robin of the Brazilian stage, Os Reis dos Musicais, the undisputed “Kings of Musical Theater” in South America’s largest country. Divided into two parts, the article concludes with a rumination on, and analysis of, the play’s music and plot (Warning to readers: Spoiler Alerts ahead!). Josmar Lopes – Welcome back, Claudio and Charles! I must confess that my initial reaction to your show was one of surprise at how good it really is. I loved Ed Motta’s music — it’s dark and gloomy, just what a “noir musical” needs. One of the melodies has a one-note theme that reminds me of Wojciech Kilar’s score for Bram Stoker’s Dracula: slow and deliberate, with lots of deep bass. There’s also a piano-keyboard arpeggio in the early going that’s similar to Sweeney Todd’s motif. This was probably due to Motta’s musical eclecticism (see my earlier interview with jazz-funk artist Ed Motta: https://josmarlopes.wordpress.com/2013/06/06/meet-ed-motta-the-real-music-man-of-brazilian-musical-theater/) and to his extensive record collection. Claudio Botelho – I assure you that “7” is totally OURS and original in every way. It’s not based on any existing work, novel, or film, and it owes nothing to other authors. It’s a work that took several years to complete, constructed in a manner that’s not been tried before, by our starting out with nothing but the music and around it building a story line with lyrics and text. Charles Möeller – Without a doubt, this is our most mature piece, one that underwent a very unusual process. I always thought it was easy to do theater, to write a scene, but with everything connected to my brand of humor. It was this way with As Malvadas (The Wicked Ones), [a show from 1997], and Cole Porter: He Never Said He Loved Me [from 2000]. 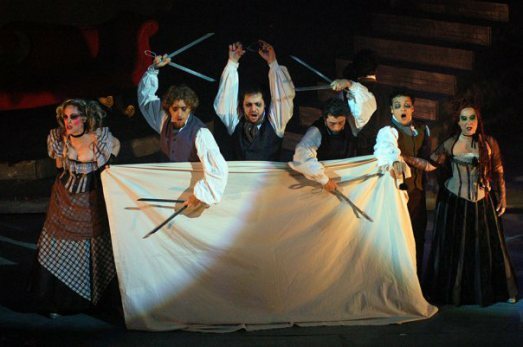 7 – The Musical went in the opposite direction. In fact, it was a treatise on envy, on beauty, and in sum — something I discovered long after — it was an exceedingly individual treatment of the Snow White story viewed from the vantage point of the stepmother. The work places the stepmother at the center of the action, and Snow White (in this case, Bianca) in the role of the villain. 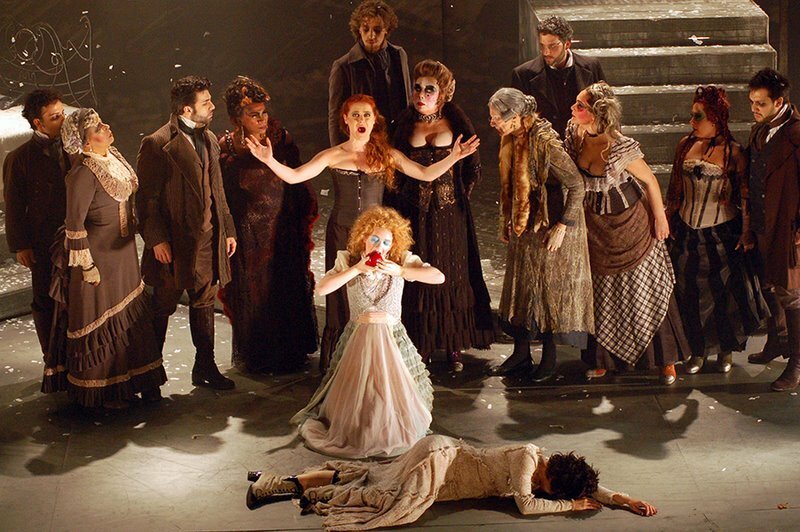 Josmar Lopes – In that respect, your play is as good as, if not better than, an opera! Arias, duets, trios, choruses, dance — it’s a fabulous, fabulous showpiece, and you guys should be congratulated for having written it. It’s not what I would call a “family-type” show, but there are lots of folks out there who simply love The Addams Family or The Nightmare Before Christmas and other dark-themed works. There’s always an audience for the macabre, especially around Halloween, so that shouldn’t be a hindrance. Given time, it can easily “catch on.” And it’s certainly not your typical Brazilian musical. Claudio Botelho – “7” is about love and revenge, but also about black magic and the way some Brazilians deal with their romantic issues. But I’m sure none of the above makes it an obvious “Brazilian” musical. 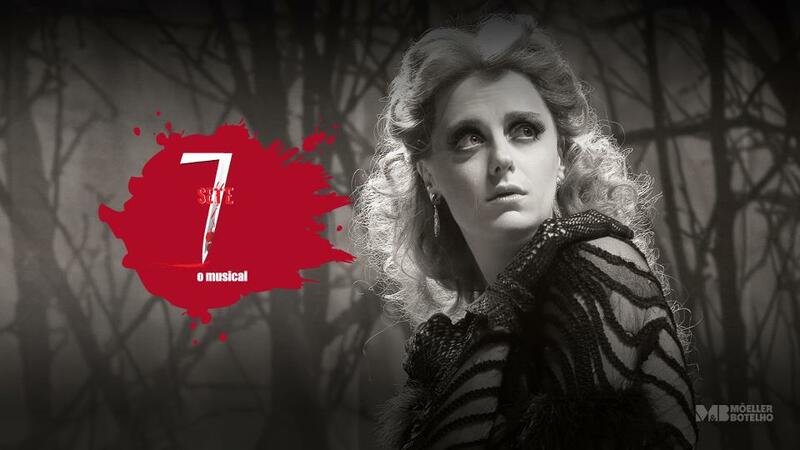 “7” is Brazilian in its essence, in that it’s a fairy tale that takes place in a phantasmagorical Rio de Janeiro. It talks about things that we Brazilians understand well, [things] such as aunts, godmothers, neighbors, novenas, powerful curses, prayers, voodoo, bordellos, old prostitutes, etc., without our having to fill up the stage with mulatas. I’m ashamed of not being very modest about this show, but I have the feeling that something really new and interesting can be satisfying for any audience, whether they be Brazilian or foreign. Josmar Lopes – Where did these ideas originate? And what is the significance of the numerical title? Charles Möeller – Why is the play called “7”? Because of the wicked witch’s seven requests and because the whole symbolism of the Brothers Grimm is based on the number “7” — seven dwarfs, seven hills, seven brothers, a mirror broken in seven places, seven years of bad luck, etc. In a certain way, concealed or not, all this is in the play; after all, the Grimm Brothers’ stories were based on German folklore, which is rich in all these myths. My family is German and I grew up listening to these stories. The strangest thing of all is that these tales are emasculation stories with relation to women. The stepmother is bad because she’s beautiful and powerful, and she’ll be punished with ugliness and old age. Why do women, when they reach old age, lose whatever value they had in youth? A king can get fat because he’s rich and powerful, but not his wife, who goes from being a princess to being a witch. The social mind-set contained in these stories is impressively retrograde. It was my immersion in all these tales, thinking long and hard about them, together with my fascination for the suburban universe created by playwright Nelson Rodrigues [who was a cousin of my father’s], that I wrote 7 – The Musical. 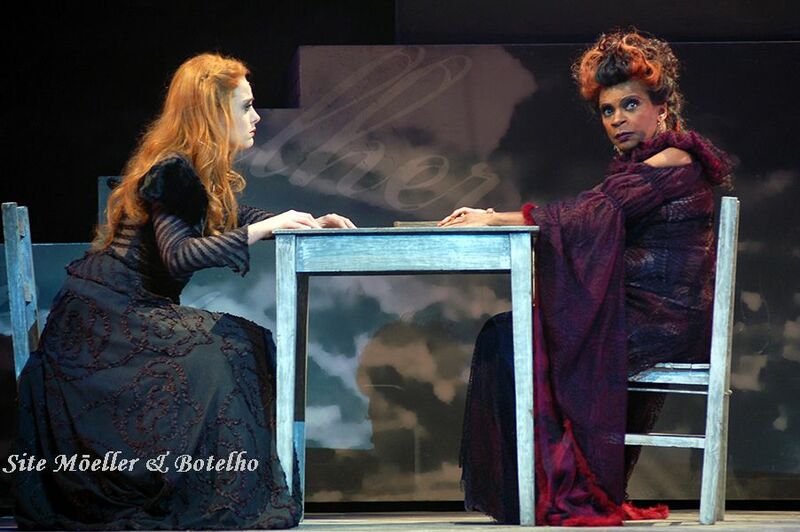 Claudio Botelho – I would add that because of the way we built the show around the personalities of our unconventional cast — Zezé Motta (Dona Carmen), Rogéria (Dona Odette), Eliana Pittman (Dona Rosa), Ida Gomes (Old Stepmother), and Tatih Köhler (Clara); Alessandra Maestrini, the Fernanda Montenegro of musical theater, as Amelia; Bianca, magisterially portrayed by Alessandra Verney — our biggest challenge was to create a Brazilian musical, but without samba, without mulatas, without Carnival, and without oba-oba. This actually conspired against us, because people accused [our show] of being much too somber. Josmar Lopes – It certainly looks that way, at least on DVD. That is odd, considering the locale is supposed to be “Marvelous City” Rio. 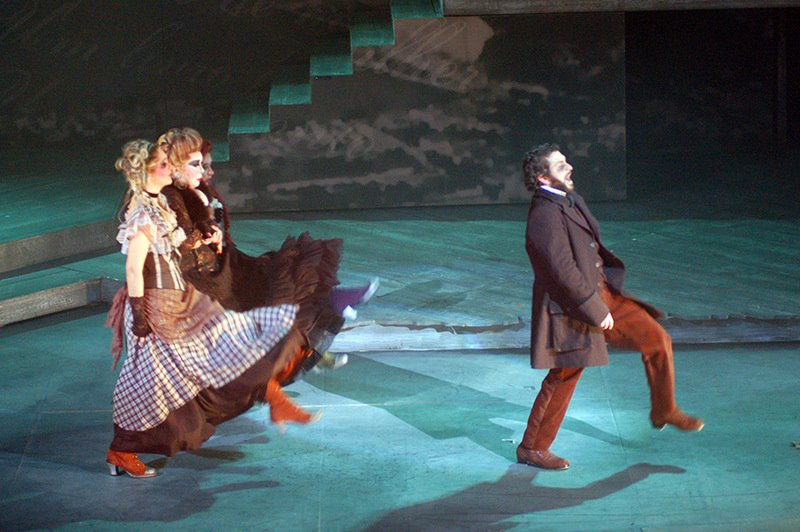 Charles Möeller – Although the play takes place in Rio de Janeiro, there’s not one ray of sunshine to be seen. It even snows there! And with Ed Motta’s music, very individual in timbre, people just sat there half in shock. We were insistent and, slowly but surely, we conquered the public. 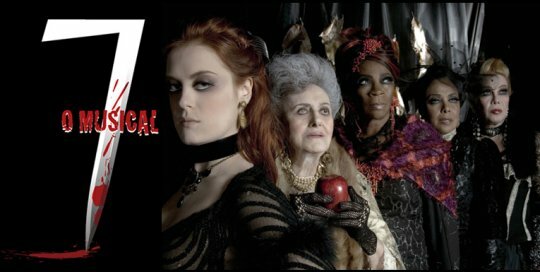 Josmar Lopes – How did you find working with such a fabulous cast? Charles Möeller – It was fascinating writing characters for these great actresses and put into practice all that we’ve learned through the years. And “7” was our cauldron of incantations, our laboratory, our Frankenstein monster, but with a happy ending. Josmar Lopes – It still amazes me that Motta was able to compose such strikingly modern-sounding music, while at the same time look backward at older styles. There are elements of Orff’s Carmina burana in his melodies, as well as evidence of Ennio Morricone’s harmonica theme from Once Upon a Time in the West — speeded up, of course — in the number, “O coração no bosque” (“The Heart in the Forest”), that opens the second act, which was cut from the production in São Paulo. Claudio Botelho – I also liked the “Heart in the Forest” scene. It was a song without lyrics (for voices and melody only) that Ed Motta placed in one of his CD retrospectives that I “appropriated” for our show. But we thought it wasn’t fully realized, so we cut the scene instead. It was supposed to have been a number in which the “seven dwarfs” (the seven young men) are skating on the ice when suddenly they find a woman [Bianca] frozen in the water under their feet. Although the scene was cut for the São Paulo run, the idea stuck and perhaps we can resurrect it in our next production of the play. 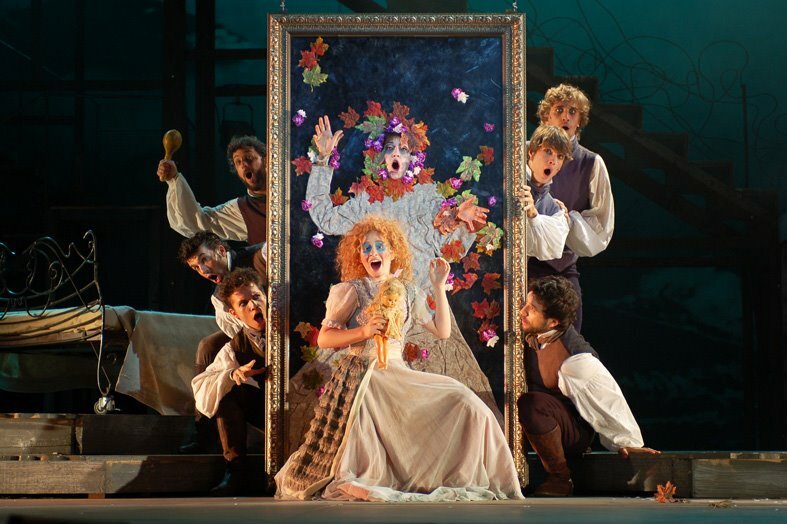 Josmar Lopes – That’s no different from what the great opera composers used to do, Mozart included: they would write scenes and arias for their favorite singers, then add or subtract numbers for other theaters or when other singers took over the roles. 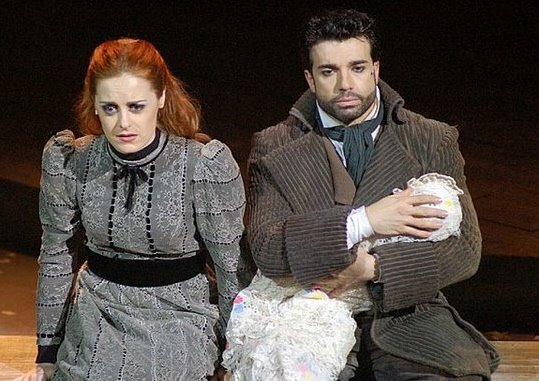 Don Ottavio in Don Giovanni, for instance, is a good example: he has two difficult but very different airs, both written at different times and for different singers. In Mozart’s day, only one of them was sung. But today, most tenors sing both “Dalla sua pace” and “Il mio tesoro” because the role is so short that, what the heck, they wind up singing the two arias anyway. Charles Möeller – The fact that we closed Act I with Amelia’s ear-shattering scream, upon her learning the tragic fate that awaited her — whereby she is destined to kill the young man Alvaro, the person she most adored — became part of the jigsaw puzzle that resulted in the audience asking itself the question, “What’s all this about?” After the intermission, we had to immediately clear up the issue we raised before, not add to the confusion. We needed to go back to the point of departure. That was the main problem for us. This is why we decided to cut the scene. Claudio Botelho – To tell you the truth, this scene is extremely important. [It] explains the original situation of Amelia, who was abandoned by her mother and who, in the end, takes Clara into her bosom as her own daughter, so the circle can never be closed for her. Josmar Lopes – Why was the scene cut if it was so important? Claudio Botelho – The scene is very difficult, in that the three stars, Zezé Motta, Rogéria, and Eliana Pittman, all have to act about 20 years younger, to physically attempt to be 20 years younger; in other words, to be totally different from their older selves earlier on. Unfortunately, in the middle of rehearsals we realized it would be too demanding for them, so we decided to drop the scene. I kept the scene in the print version I sent you, because I felt it gave the song about the baby (“Foi um bebê que bateu na minha porta” – “A Little Babe Came Knocking at My Doorstep”) a better explanation for what came before with the scene intact than without it. With that scene fully restored (with the three older actresses), the baby song becomes a trio. It’s also a funny scene, with some interesting bits for the performers. Josmar Lopes – It’s a funny scene, all right, but without it there’s a huge gap in continuity and the act feels like it could use more music. 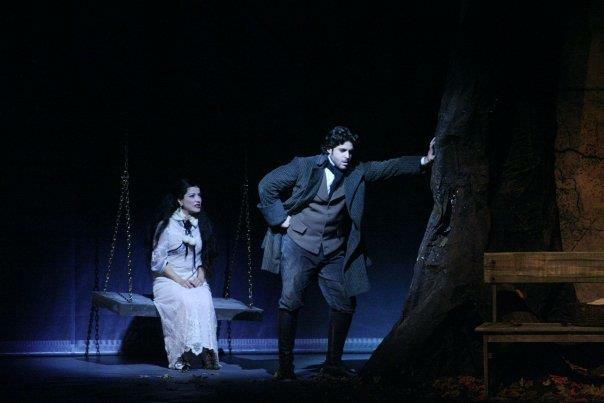 Claudio Botelho – I see no problem in including more music in Act II. And I also feel you are right in your perception that there is a hole [there], which comes from the above cut. If we return to our original concept, the scene becomes fuller and denser, and the play gains immeasurably from it. Josmar Lopes – What did the critics and reviewers have to say about your play? Claudio Botelho – The critics were unanimous in placing 7 – The Musical as a watershed event in the category of dramaturgy in Brazil. 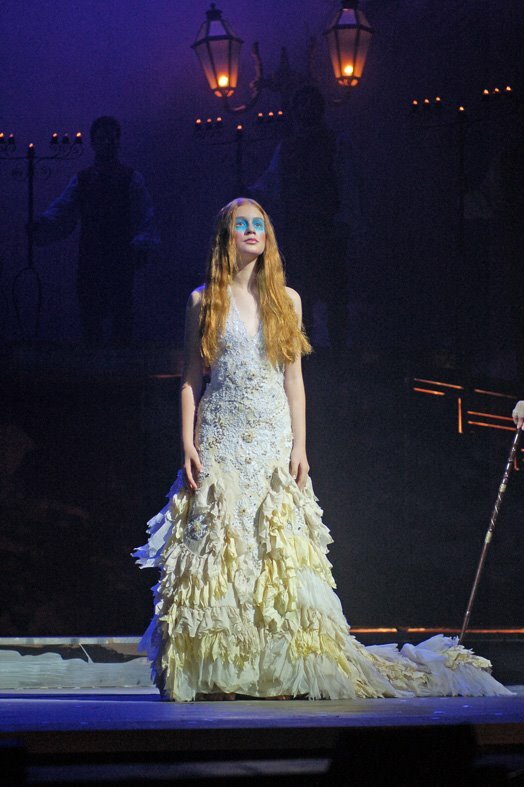 The noted theater critic for O Globo, Barbara Heliodora, expressed some reservations about the music, but she praised the qualities of the show quite highly. Josmar Lopes – Indeed she did. I translated her review from your Website into English, along with several others. They’ll appear in Part Two as a continuation of this article. Speaking of continuations, I hear you and Charles are working on a sequel to “7.” Does it have a name? Claudio Botelho – We call it Veronica or 13. I’m doing the lyrics and music. Charles is writing the book. Josmar Lopes – Boy, does that sound familiar! What’s the story about? Charles Möeller – On the night before her wedding to Pedro, Laura discovers she’s fallen in love with his brother, Frederico, and so she gets involved with a murder plot. It’s a story of twists-and-turns involving deaths and curses, revenge killings and declarations of love, ghosts and phantoms and an unsolved family mystery! A game of love and ruin, which is why the number 13 turns up, a merry-go-round of violent passions: Pedro who loves Laura, who loves Frederico, who loves Veronica, who loves Pedro, Frederico and Laura, who is loved by Leticia… And from there it takes off! Josmar Lopes – Wow, it’s “7” times “7” on steroids! How do you go about putting all these story elements together in a coherent pattern? Charles Möeller – It’s funny, but “7” is the show we’re most proud of — the show that won the most awards, that gave us the most artistic success, but it’s also the show that made the least money. Charles Möeller – Three years ago we started talking to CAL about conducting a master class or a workshop, or giving a lecture — in either case, a discussion that centered around musicals, to demystify their glamour, and to show people that we’re more like worker ants than lazy grasshoppers. Josmar Lopes – I like the analogy to A Bug’s Life. Charles Möeller – At first, I resisted doing the course. It would be two months of work, eight weeks in all — the same time period I use to rehearse a play. Claudio registered my name without consulting me. This would be the only vacation we’d have after ten years of work. My first reaction was to have a stroke! Then I said, “Okay, let’s go for it!” I had an idea that I wanted to try: to go through the real-life process of putting together a production of 7 – The Musical in eight weeks! I mean, it would be eight weeks of two classes per week: 16 four-hour rehearsals with auditions and practice in staging, with commentary as well as discussions about my working method! I told them everything, or almost everything, that I knew; and I heard a lot about what I didn’t know. It was two months that flew by, and believe it or not: we STAGED “7” complete, with some minor cuts and adaptations, and with an incredible cast! Josmar Lopes – You must’ve been very proud of your pupils! Charles Möeller – The night before the show, I was so uplifted that I was speechless. On the last day I saw that everyone had given everything they had, that qualitative leap I always expect from my casts! They shined, all of them, and were uplifted in kind, so much so that “7” came out as never before! The presentation of “7” in CAL was one of the best things I have ever done, because it was a blood pact, a magic spell that came to life. Josmar Lopes – And with plans for an upcoming TV-miniseries still to come, let’s hope the spell lasts! But for now, what a wonderful way to end our interview: with a happy ending! Thank you, Charles and Claudio, for your time.